The US 95 NB ramp to I-15 SB will be closed April 22 from 10pm-4am. Detour information is below. Questions? 702-293-6366. 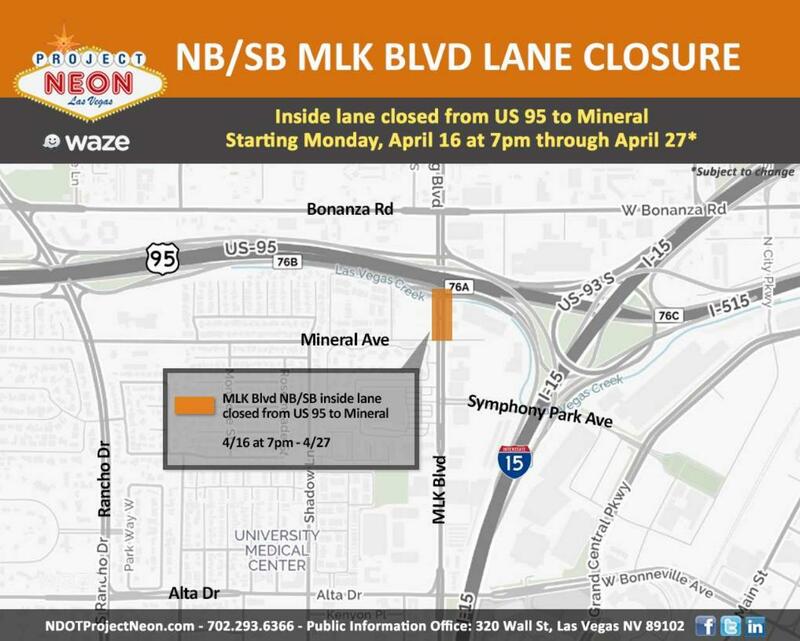 Starting Tuesday, April 16 at 7pm, the inside lane of MLK northbound and southbound will be closed from US 95 to Mineral. 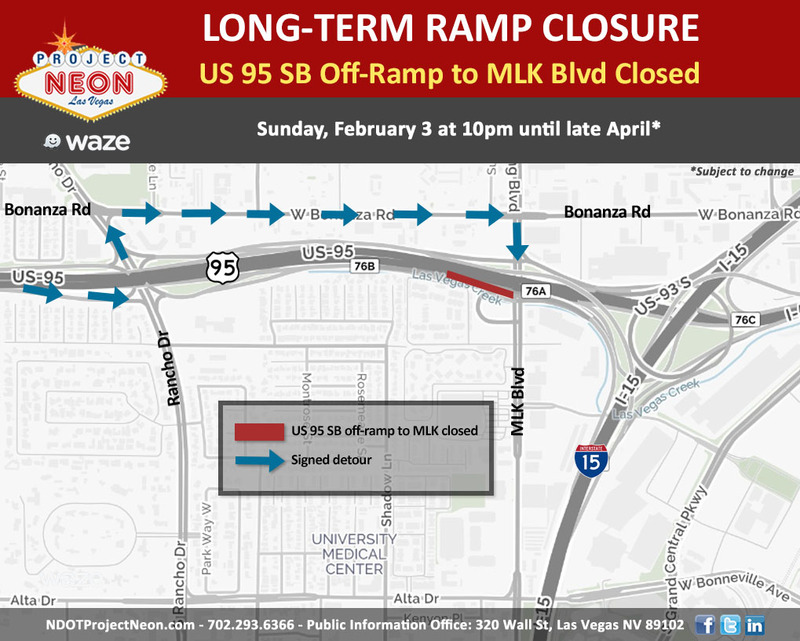 These lane restrictions will continue through April 27. 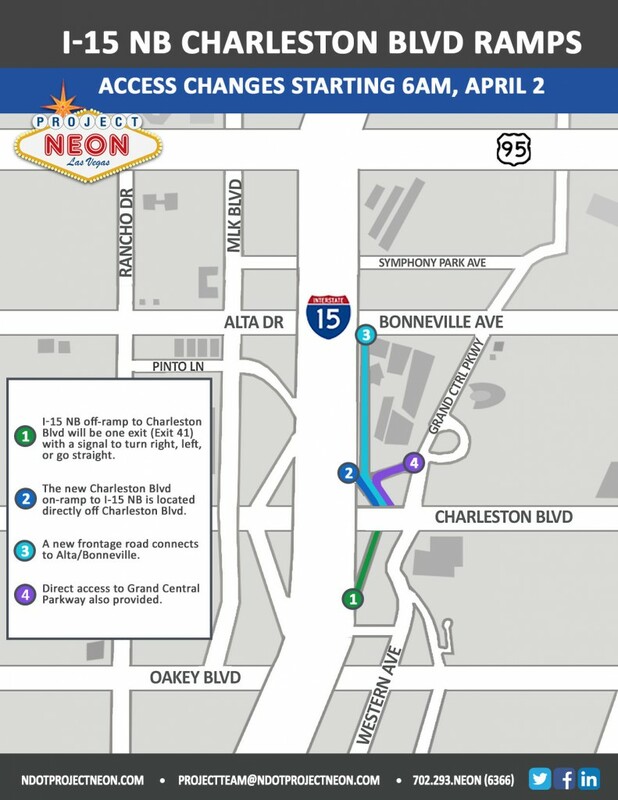 Charleston Blvd will be closed from Commerce to Grand Central for 8 days. The Charleston/Grand Central Parkway intersection will also be closed for 4 days. Dates and times coming soon! Please refer to the exhibit below for detours around the closure. Questions? Call 702-293-NEON (6366). 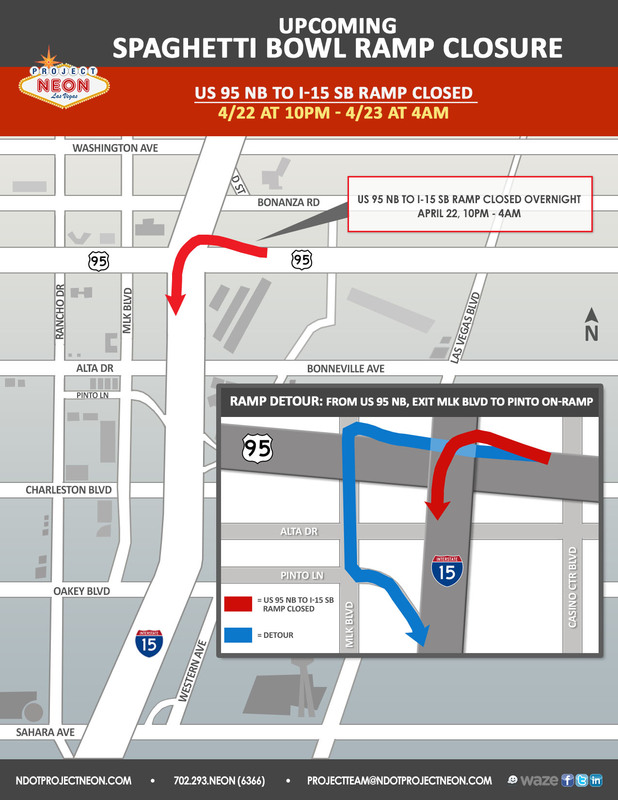 As of April 2, there are new access changes involving the ramps at I-15 and Charleston. For all the details, check the exhibit below. Questions? Call the Project Neon public information hotline: 702-293-NEON (6366).